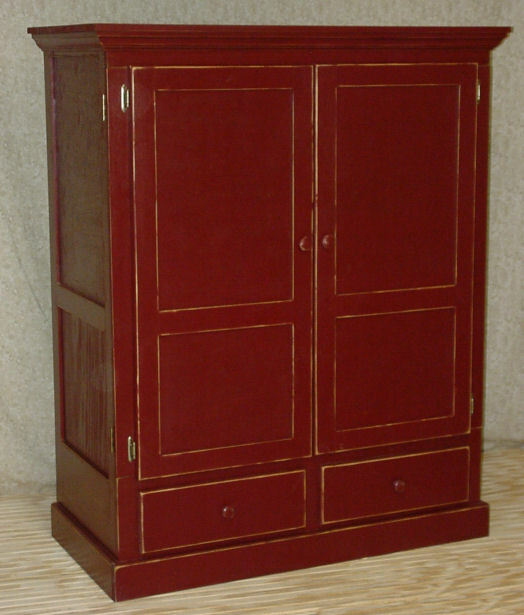 This Computer Armoire was a Custom Order. The Cranberry color supplied by the customer really set off their already beautiful living room. There is a pull out work surface just above the keyboard tray and a pull out shelf for their printer. The doors are double hinged so you can open it straight out or fold them back against the sides. The entire inside computer desk can be taken out so it could be used as an entertainment center for a large screen TV. 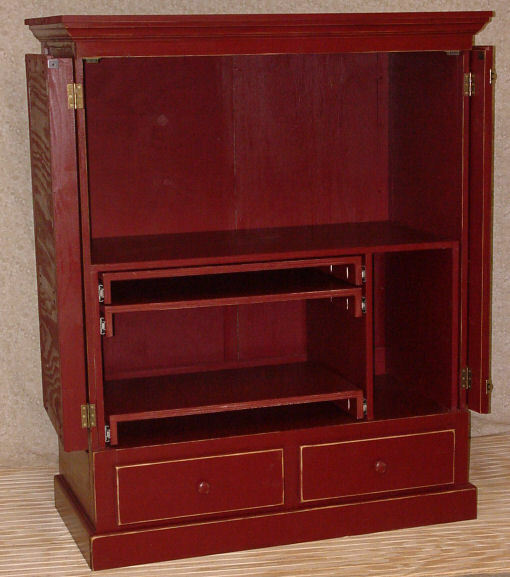 This was a beautiful example of Custom Made Furniture. We can make a place for you to hide your computer.